Vibrant Valley Farm is currently in its third season as a CSA (Community Supported Agriculture), CSB (Community Supported Bouquet), restaurant and wholesale ecologically grown flower and vegetable operation. 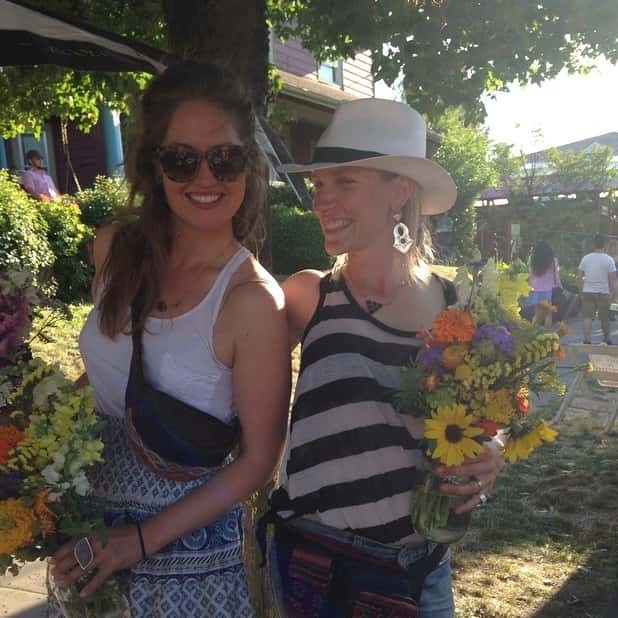 Founded in 2013 by two women, Kara and Elaine, who are passionate educators and dedicated farmers, Vibrant Valley Farm has committed to exploring innovative solutions to enliven the current food system, both locally and globally. We are currently partnering with local schools and youth projects to create mentorship programs as well as possibilities to learn from one another in a field setting. The farm is 4 acres and located on Sauvie Island just 15 miles from downtown Portland. We offer a CSB (Community Supported Bouquets) program much like a Community Supported Agriculture program that allows you to receive a bouquet each week through the growing season, directly support your local grower and ensure seasonal and ecologically sound flowers. Our flowers are locally and sustainably grown and we never use pesticides or herbicides. We plant many different flowers from statice and acroclinium to mignonette and snapdragons and always plant successionally to ensure that there are always all sorts of colors, shapes and heights for mixing and matching to build dynamic bouquets. 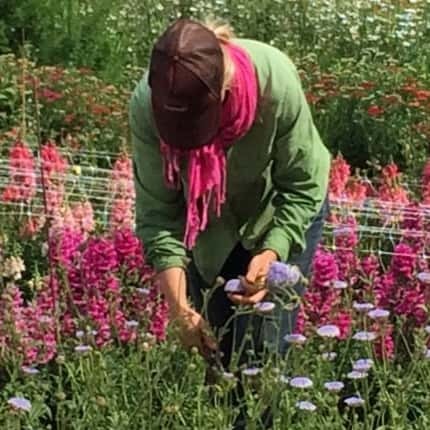 Local flowers not only directly support farmers they also help to create a diversified and ecologically sound farm system. Our flowers are grown in rows of their own and interspersed with other vegetable crops to add biodiversity and natural pest control. Flowers like sweet alyssum, sunflowers, calendula and marigolds attract and feed beneficial insects that battle pests. We also offer a CSA (Community Supported Agriculture) where members receive a box of farm fresh veggies every week ranging in diversity all season long. Expect your everyday favorites like tomatoes and carrots as well as to explore new types of peppers, greens and other items. Also receive a weekly newsletter, recipes and to get to know your farmers!